I’ve been using an Apple Pencil for a couple of years now, and I have never been anything but happy with it. It is incredibly accurate, tracks fast across the screen, feels good in the hand, and the battery life is just fine considering how well it performs. Lately, my wife and kids have also discovered how good the Apple Pencil, as they keep borrowing mine and pairing it up with the other iPad Pro in the house. I know what that means- soon I’ll be out another $60-$99 (depending on whether I can find a refurb model, or not). However, if a recent Kickstarter delivers on its promise, then maybe that price will soon be a little lower. The rest of the stylus field for the iPad has largely faded away since the release of the Apple Pencil. There are a couple of pressure sensitive models around, such as those from Adonit and Wacom, but the Pencil is a hard accessory for third parties to compete with. However, now we have a very interesting contender that has come out of left field. A company known as GreenBulb has launched a Kickstarter campaign for what they call the “World’s most affordable Smart Pen.” This already-funded campaign for what they call the SonarPen is quite unique in two ways. First off, even though this stylus is pressure sensitive, it has no battery and doesn’t require a charge. In a very interesting twist, it plugs into the iPad’s headphone jack with a cord. That is definitely different. However, despite the limitation of having a tether, this is a very creative solution to the problem of supplying an adequate charge to the device at a reasonable price. The second unique aspect of this stylus is that it works for any iPad, not just the iPad Pro models. While all capacitive styli will work with all iPads, they aren’t pressure sensitive and tend to struggle with accuracy and precision. While most Bluetooth styli will work with all iPad models, they are typically still expensive. The absolute standout feature of this stylus, assuming it performs as advertised, is that it will only costs $30. A universally compatible pressure sensitive stylus that only costs $30 is something worth talking about. If GreenBulb can pull it off, they should see a lot of success. 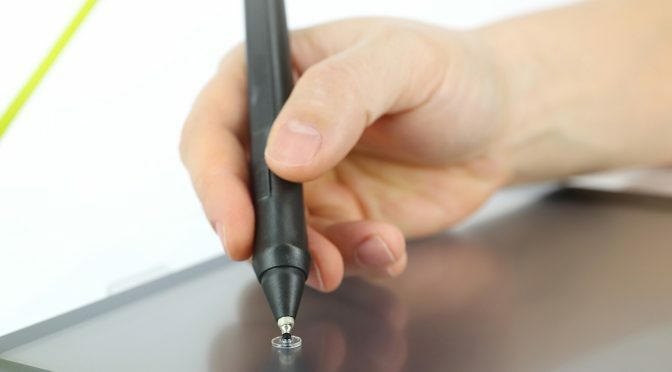 According to their campaign page, they have already developed 24 SonarPen prototypes, selected the best of the group, and have manufacturing lined up. They are raising capital to pay for the costs of mass production, and based on the fact that they hit their Kickstarter funding goal in a week, they should have more than enough to get this product out the door. As you can see below, GreenBulb is also working with several developers to make the SonarPen’s feature set fully compatible with their apps. 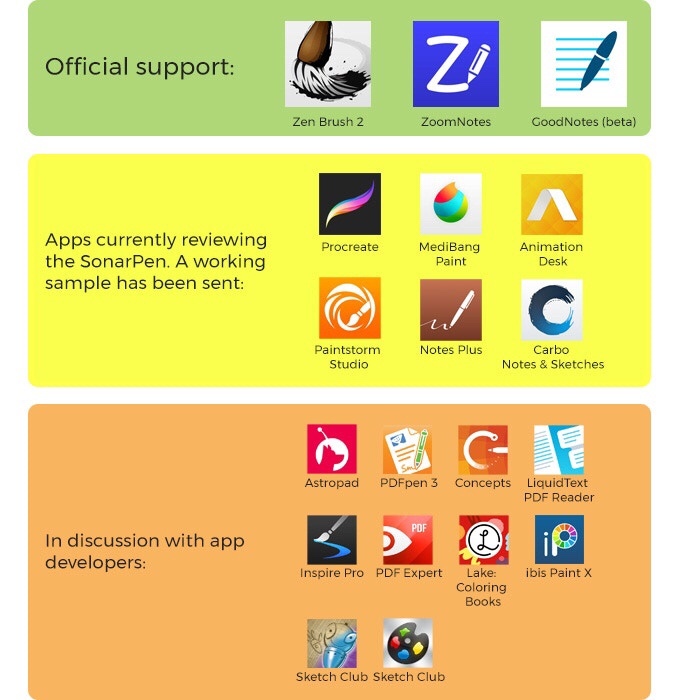 It’s good to see that this is happening now, because compatibility with popular writing and drawing apps is critical. Devs having to “bake-in” compatibility is one drawback to styli other than the Apple Pencil, but for $69 less new out of the box, this is not a bad trade off. 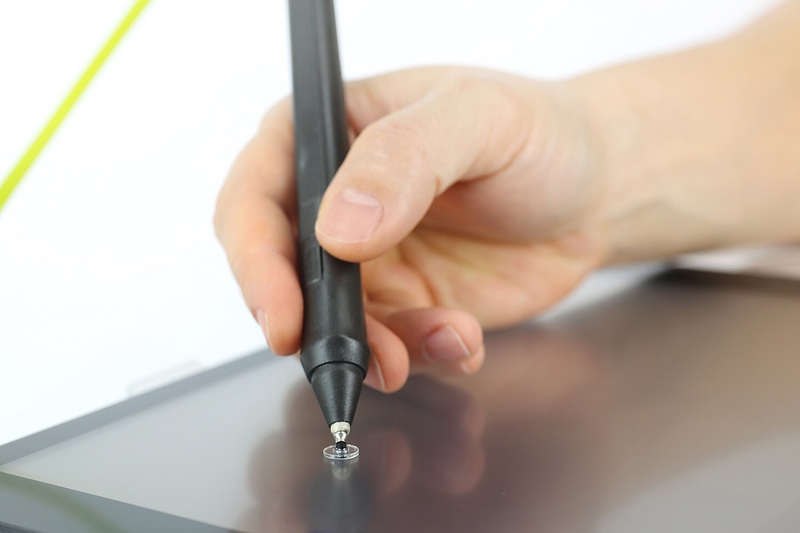 Even though I’m happy with my Apple Pencil, I will be backing the SonarPen on Kickstarter. I definitely want to get a closer look at one for review, and $30 is a very reasonable price for that. I also want to support creative endeavors such as this one so that we continue to see them in places like Kickstarter and Indiegogo. What do you think of the SonarPen? Do you think GreenBulb is onto something here, or do you expect this to either be vaporware or a disappointment? Let me know in the Comments section below, on Flipboard, on our Facebook page, or on Twitter @iPadInsightBlog.